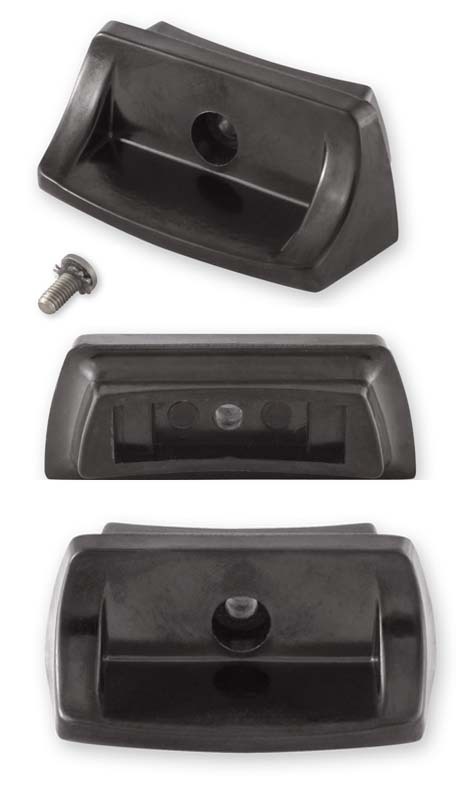 manufactured by reverewareparts.com and are made to look and work just like original Revere Ware pot handles. 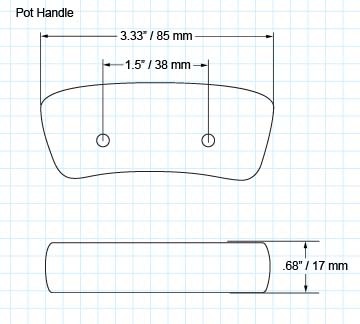 Replaces: The original Revere part number for this replacement handle was 628. 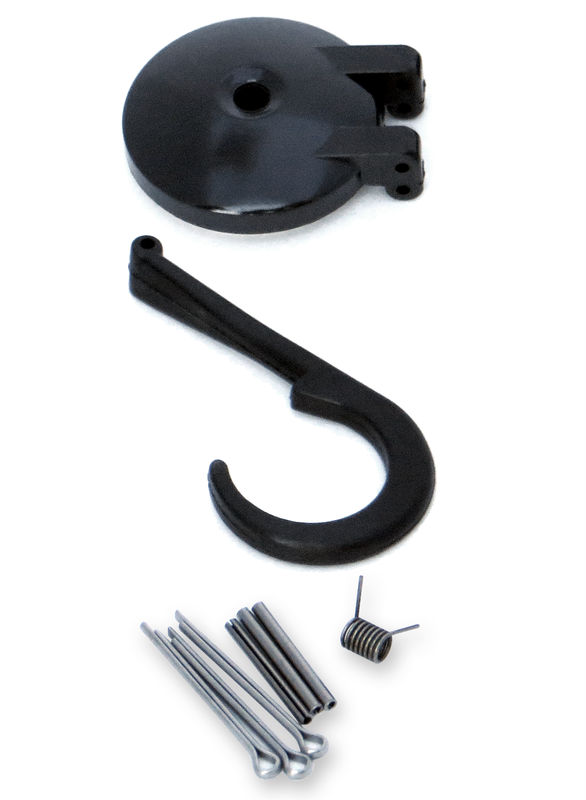 The screws included with these handles are Phillips head, not slotted like the original Revere Ware pot handle screws were. 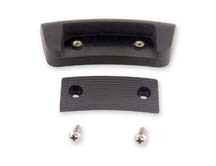 Because the original slot head screws strip very easily, we consider this an improvement. 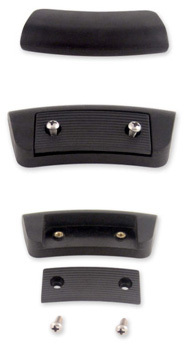 These handles have a matte finish, not a glossy one like the other Bakelite parts we sell. 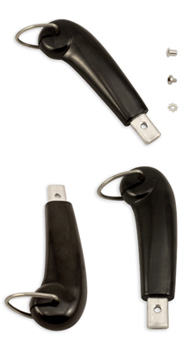 In our experience, some original pot handles had a glossy finish and some had a matte finish. We chose to go with the matte finish to provide a better grip. 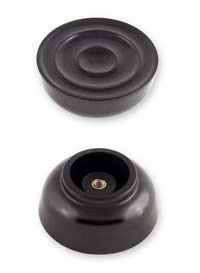 Because Bakelite is somewhat brittle, over tightening can cause the Bakelite to crack or the screw inserts to pull out. When you screw these on, if the smaller piece seems to not be on quite all the way, unscrew both screws a little, wiggle the handle to seat the handle better, and screw the handle tight again.